Umbrella strollers get their name from the curved double handles; they also fold up very easily, just like an umbrella. This type is the lightest, smallest, and simplest strollers in the market. Cloth or vinyl seats are on a basic frame, with limited features such as a sunshade and storage basket. Weighing less than 20 pounds, their compact sizes are just right for short trips. 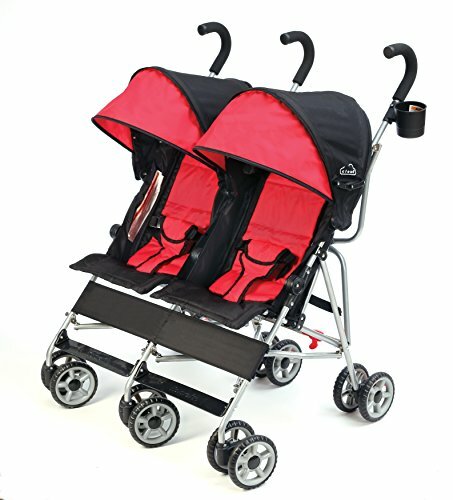 This type of double baby stroller is popular with parents who take trips on airplanes because they are easy to gate-check. Families who enjoy going to huge amusement parks such as Disneyland also find the umbrella double stroller a very convenient way to go, rather than renting one. 7.1 How old are your babies? 7.2 Are your kids twins or siblings? 7.3 What will you be using the stroller for? 7.4 How much are you willing to pay? However, umbrella strollers are designed for infants that are at least 6 months old who can sit in an upright position. They are not suitable for newborn babies because the seats usually do not recline flat, although some brands can and should be used from 3 months of age. However, this type of product is not suitable for rough terrain, brisk walking or jogging. But they certainly are perfect for taking strolls around the neighborhood, going to theme parks, shopping and traveling. 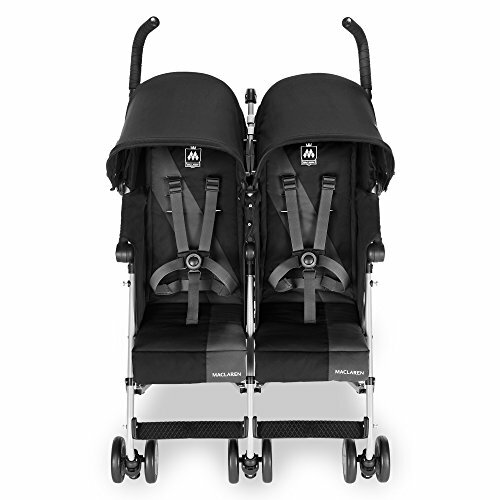 If you’re open to a single handle side-by-side, then check out these twin strollers. They are usually heavier and bulkier but good for everyday rigorous use. The more expensive strollers are listed first. If you prefer, go straight to the Economy Picks, which are $200 or less further down the page. Presenting UPPAbaby’s first double umbrella stroller: the G-Link! Basically, UPPAbaby’s taken the G-Luxe and doubled it, plus they added even more wonderful, useful features for both mom and children. This really is a luxury umbrella stroller and for the price, you do get all the extras you expect from such a product. Each seat has a carrying capacity of 50 pounds, and yet the stroller only weighs 24½ pounds, compared with heavier models, like the Inglesina Twin Swift, as you will see further down the page. Newborns can ride in this stroller – not many umbrella strollers have a flat recline. Baby is cocooned with a head support pillow, a cushioned barrier at the top of the seat that is fully enclosed, and a snap on mesh boot at the bottom of the seat. Outstanding full coverage SPF 50 sun canopies that UPPAbaby strollers are known for are also on the G-Link. For a side-by-side umbrella stroller, it is easy to steer because of the light frame and wheels. There’s only one brake in the back for convenient one-step stopping. Parents get a cup holder, and an easy free-standing fold with carry handle. Storage baskets beneath the seats and deep pockets on the backs of the canopies provide plenty of space to keep your essentials. 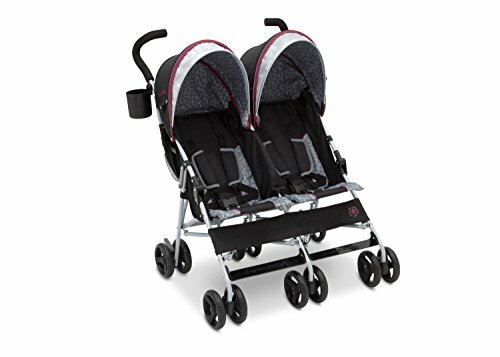 Whether you have twins or your children are siblings close in age, the Maxi Cosi Dana For 2 is a lightweight stroller that travels with comfort and ease. This double umbrella stroller has seats roomy enough for two larger kids (up to 40 pounds each) yet you’ll be able to maneuver easily though most standard doorways. You’ll like the middle handle to help with steering, too, and parents say it turns on a dime. 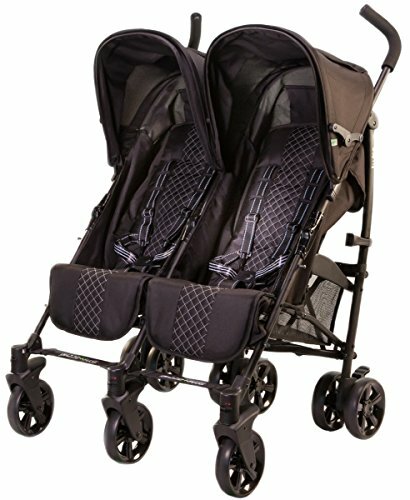 Parents of twins: This is a good lightweight stroller for twins. It accepts two Maxi Cosi Mico infant car seats and comes with adapters included. A quick click transfers your babies from the stroller straight to the car. A soft reversible seat cushion has a different pattern on one side to add versatility to your look, and it’s machine washable. Padded 5-point safety harnesses secure your children and this stroller uses puzzle buckles so that wiggle worms will stay snugly in place. One-handed seats recline in multiple positions for just-right naps. Your children are protected by the sun with an extending sun canopy with flip-out visors and mesh paneled peek-a-boo windows with flap cover. Parents reviews say that opening the stroller has had some reports of being difficult, and folding it takes some practice. Weight-wise, the Dana For 2 lands about in the middle for double umbrella strollers, weighing about 29 pounds. And, the baskets have enough storage for being an umbrella stroller. Access to your things are easiest through the side. Reviews so far give the Maxi Cosi Dana For 2 consistently high ratings for the superb steering, the ultra-soft padding, and large sun canopies. Guzzie+Guss is a little known brand in the United States, but is popular in Canada and quickly gaining ground. They have a philosophy of owning a stellar stroller for a price that keeps your bank account intact. The guzzie+Guss Twice double umbrella stroller has a lot going for it like adjustable leg rests, four-position reclining seats and a compact easy fold. Each seat has a carrying capacity of 45 pounds, and the stroller weighs 28 pounds. The padded seats have 5-point safety harnesses and a four-position lever recline. An adjustable leg rest stretches your little one out for a comfy nap. I like the footrest enclosure for infants. To use it simply flip the leg rest up then attach two fabric pieces, and you have a cocoon. Because of the seat recline, babies should be 3 months or older. Outstanding sun canopy coverage and large mesh peek-a-boo windows are a big hit with parents. The compact, easy fold with carrying handle makes transport a snap. Storage is pretty good; there are two under seat baskets and big storage pockets behind the canopies. Available in red, black and blue. Not many reviews at the time of writing, but so far guzzie+Guss Twice double stroller is getting top marks! This is one of two Maclaren side-by-sides. The modern, no-fuss style of the Maclaren Twin Triumph weighs only 22 pounds, yet can carry two children up to 110 pounds combined weight. The four-position reclining seats and individual sun canopies give comfort to your children. One-handed easy fold and carry strap are convenient features when you’re out. Store everything you need with the basket beneath the seats. This stroller is well balanced so hanging a few bags off the handles is not dangerous. 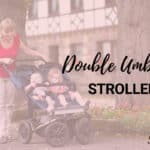 Just like the single, this double umbrella stroller is great for travel and it is a top pick by Consumer Reports in the double side-by-side category. Find out why happy customers give great ratings. The Maclaren Twin Techno has gotten mixed ratings, but it has a few more features, and you can read about it in this review, too. The stroller weighs just under 26 pounds, and for a double, that’s pretty good. It includes a cup holder on the side and one behind each seat just above zippered storage pouches. The two storage baskets are each big enough to carry a standard-size diaper bag. Canopies are generous with vinyl peek-a-boo windows and each child gets their own little storage pouch for sippy cups or toys in each seat. Want a basic, sturdy, well-made umbrella stroller for two? 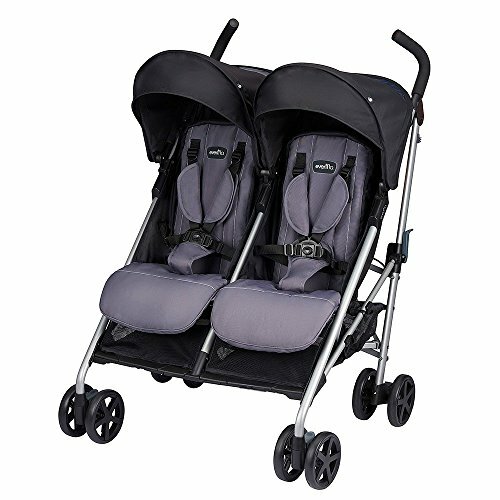 The Chicco Echo double is your ticket to easy outings with two children in tow. Suitable from six months and older, the seats hold up to 40 pounds each. Seats recline into four positions, one-handed, and lies nearly flat. Adjustable leg rests provide more comfort for little legs, especially during nap time. Padded 5-point safety harnesses secure your passengers. Dual front swivel wheels can lock into place and front-end suspension smooths out the ride and foam handlebars come up to 42″ from the ground, providing appropriate height for taller parents. Several reviews mention that a 6′ dad easily feels comfortable pushing this stroller. The sun canopy could be a little bigger, but it has a zip-out rear panel for additional airflow and mesh baskets beneath the seats hold your things. Oh and you get a cup holder too, not seen in many umbrella strollers! The Chicco Echo Twin has been getting positive reviews. Excellent reviews have been given for the quality of this stroller. It is a bit heavier at just over 31 pounds. A couple of parents say that their Echo Twin is sturdy and the bigger wheels make it easier to push and the fold/unfold is easy. 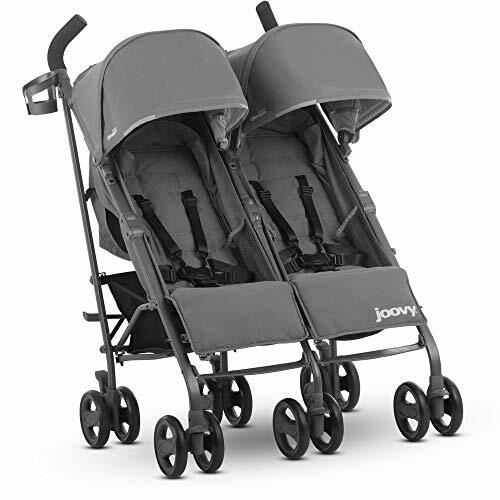 ECONOMY PICK: Listed by Consumer Reports as one of the better twin side-by-side strollers, the Kolcraft Cloud Side-by-Side double stroller is assured to have high-quality standards for safety and performance. Roll-up the seat pads on hot days for better air ventilation and roll them down for cooler weather. This model has a three-point quick release buckle for safety and all-terrain tires for a smooth ride. Customers just like you rate the Cloud Side-by-Side at fairly high ratings for being inexpensive, durable, compact when folded and comfortable for children, especially with the recline feature. It is lightweight at just under 23 pounds and the extra wide frame holds two children up to 35 pounds each. The extra wide frame can still fit through most doorways and it’s easy to fold and compact for convenient storage. For your little passengers, the seats recline individually, making this an appropriate stroller for younger babies. ECONOMY PICK: This is the stroller you’re going to want if you’re taking a trip with your little ones. The Delta Children LX Side by Side is simple, with basic features that are must-haves, but with no extras. The stroller is lightweight at only 18 pounds, and each seat carries up to 35 pounds, though some customers have put heavier children in with no problems – you’ll just have more difficulty steering and maneuvering. Features like individual reclining seats and canopies are standard. The canopies are skimpy, though, and that’s reported to be the biggest downside. Each seat sports a 5-point safety harness – through the photo here shows it converted to the 3-point lap belt, a good option for your older child. The recline is not that deep, therefore children should be well over 3 months old before riding. The storage baskets are not beneath the seats in this brand. Instead, two large mesh bags hang behind each seatback and parents remark that they are big enough to hold diaper bag items and some toys. Parents, you get a cup holder and handles tall enough that are comfortable enough for most adults. The fold is on-the-go quick, easy and compact. Just right for a packed car trunk or airport gate check. Currently an Amazon’s Choice for a double umbrella stroller. Not all double umbrella strollers are created equal. Some offer only bare-bone features, while some come equipped with enough bells and whistles to pass off for standard strollers. 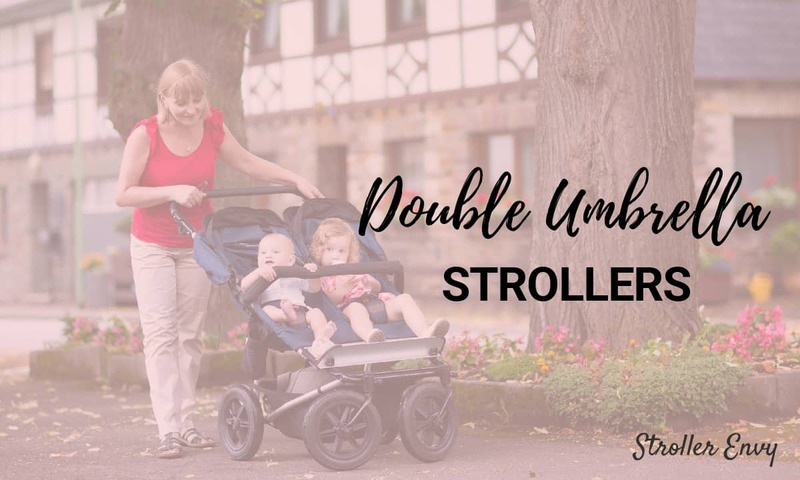 In any case, it’s worth asking yourself a couple of questions to help you zero in on the double umbrella stroller that’s right for you and your little ones. Take note that most double umbrella strollers only accommodate infants from 6 months, some 3 months. There are double umbrella strollers that can accommodate newborns, but safety experts recommend that you put off placing babies in an umbrella stroller until they’ve developed more neck control. If your little ones are a little older, take note that umbrella strollers, in general, have a limited carrying capacity (at most, 110 pounds total). So look for one that offers a greater weight limit to make sure your young ones won’t be outgrowing it anytime soon. Are your kids twins or siblings? Umbrella strollers, which have side-by-side seating, are best for twins or kids that are the same age. However, if your kids’ ages are farther apart, umbrella strollers—or side-by-side seating, in general—may not be suited for them. Uneven weight distribution will affect maneuverability in side-by-sides. You may be better off sticking with a sit-and-stand or other in-line double stroller. What will you be using the stroller for? Umbrella strollers are better suited for use when travelling—whether that means taking the bus or train, visiting your parents, or taking the family on a vacation. So if you’re going to be taking it on a flight, make sure that it’s light or small enough to be gate-checked. Are you only going to be using the stroller for a short time? Or are you planning to let your kids stay in them for longer, such as when you’re bringing them along to take in the sights at an outdoor museum? Some umbrella strollers don’t recline fully; some have shallow seats, which might make young ones fidgety if they stay longer than thirty minutes in them. Among the different types of strollers, umbrella strollers are usually the cheapest in the lot. However, prices still vary widely, with bare-bones models going for below $75 and some premium brands and models fetching as much as $400. 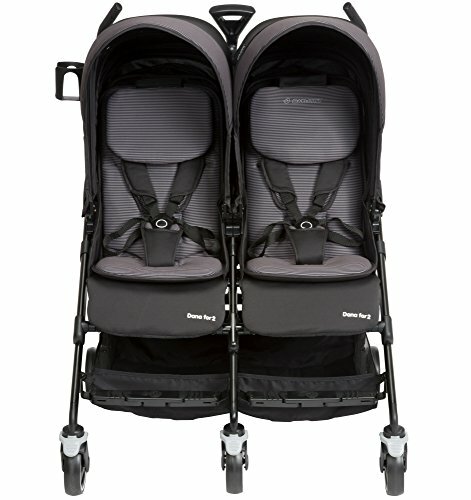 TIP: If you already have an everyday double stroller and are only planning to use a double umbrella as an “extra option” (such as for occasional errands or for summer vacation), it might make more sense to buy a more modestly priced model (like the Kolcraft Cloud or the Delta Children LX Side by Side) than a premium one. Don’t let all those bells and whistles distract you; first and foremost, you’re buying a double umbrella stroller because you want something that’s light and portable. If the model you’re looking at has nifty cup holders, extra-large canopies, large storage pockets behind the seat, but isn’t any different from your standard double stroller in terms of weight and (folded) size, then you might want to look elsewhere. The first two things to consider when choosing a double umbrella stroller are how light and compact it is. Everything else follows. Here’s something you might not know about strollers—double umbrella strollers, especially. The more wheels on a double stroller, the trickier it is to maneuver (save for maybe just one or two exceptions). Of course, you’re not going to go jogging with it. 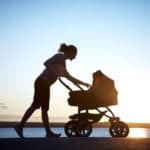 But still, considering that you’re bringing along two kids (in addition to a diaper bag, grocery or shopping bags, and your own bag, among other things), how easily and effortlessly your stroller steers (or not) is going to matter in the long run. Bottom line: Save yourself the headache and go for a double umbrella stroller with four sets of wheels instead of six—if your budget will allow it, of course. Again, another thing you will want to look at before hitting that “buy” button is whether the brakes are easy-to-use, conveniently placed (that is, you won’t stub a toe or break a toenail when engaging it), and durable. Easy-to-engage, single linked parking brakes obviously trump having to push three separate brakes. If you think about it, that’s one less thing to worry about (two actually). Last but definitely not the least, prevent unintended mishaps by getting a double umbrella stroller that has been made with your little ones’ safety in mind. Does it come with an industry-standard five-point safety harness? Does it come with a single footrest? Some parents report that tiny feet can get trapped between separate footrests. If you’re planning to use it with newborns, does it lie fully flat? Or can it accommodate a car seat? Are the brakes practical and easy to operate? Check actual reviews from parents to see if there aren’t any issues with brakes jamming. To be sure, look for strollers that are JPMA certified and meet ASTM and CPSC standards. Also, as soon as you’ve brought your stroller of choice home, fill out the warranty card and return it to the manufacturers so that you’ll get notified in case it issues a product recall. Next to your occupants’ comfort comes your own. Many double umbrella stroller brands (like Chicco and Maclaren) come with adjustable handlebars, ensuring a customizable height. Not sure if a particular model is the best match for your height and your gait? Avoid buyer’s remorse and head to the nearest baby store and take it for a test push. Some double umbrella strollers only come with storage pockets at the back of the seats. If you need extra pockets for your supplies, you can always buy a storage bag. However, take note again that umbrella strollers are prone to tip-overs, so avoid hanging anything heavy on the handlebars. Safety experts advise against using umbrella strollers to carry and transport newborns: the absence of suspension systems as well as the narrow seats common with most umbrella strollers—not to mention the fact that most double umbrella strollers don’t lie completely flat—are just not compatible with delicate newborns. If you must, though, choose one that accommodates a car seat, such as the Maxi-Cosi Dana For2. Here’s a little trivia: Maclaren is the brand that pioneered the umbrella stroller, when British aeronautical engineer Owen Maclaren made a lightweight, aircraft-compatible version of a stroller for his daughter’s baby in 1965. More than 50 years later, Maclaren continues to make travel-friendly umbrella strollers. The Volo, Mark II, Globetrotter, Triumph, Techno XLR, and the Techno XT are just some examples of its bestsellers. 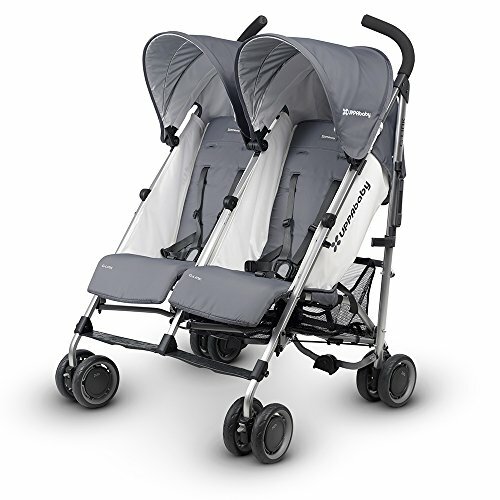 For double umbrella strollers, read our feature on Maclaren’s baby transport offerings for twins here. Kolcraft is a family-owned, Chicago, Illinois–based brand that sells crib pads, playards, high chairs, strollers, car seats, walkers, and potty seats. It currently manufactures two double umbrella stroller models: the Cloud Plus Double Stroller and the Cloud Double Umbrella Stroller. This popular American automobile brand doesn’t only offer transport options for adults, it makes rides for little ones too. 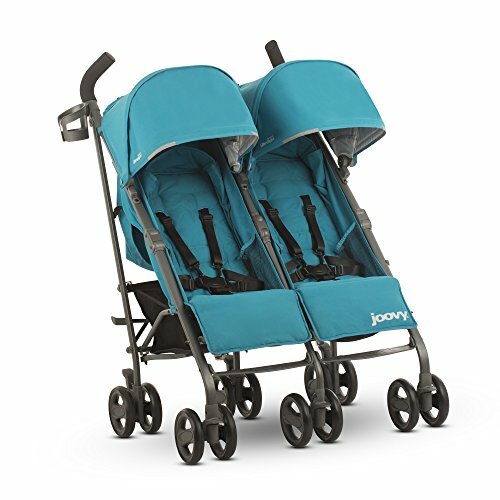 Jeep, which has made a name manufacturing tough, rough-and-ready vehicles, also sells equally hardy umbrella strollers under its J is for Jeep brand. For your twins, Jeep offers a twin umbrella model of the Scout. Meanwhile, the Atlas, the Scout and Scout AL Sport, and the North Star are its offerings under its single stroller line. Maxi-Cosi is a thirty-year veteran in juvenile products business, particularly in baby transport. 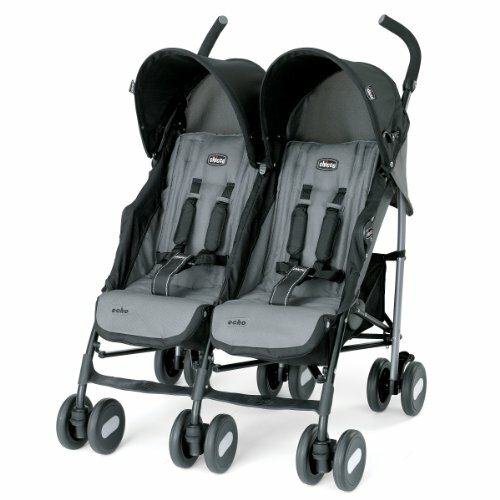 For transporting twins, Maxi-Cosi offers the Dana For2 dual stroller. Looking for a trusty stroller that won’t break the bank? See what this brand has to offer. Branded “the Honda of strollers,” Chicco is an internationally known manufacturer of baby products, including strollers, car seats, high chairs, and playyards. Its most popular double umbrella is the Echo Twin. UPPAbaby is a relatively newcomer in the stroller segment that has recently been garnering a solid reputation for manufacturing quality premium strollers. Founded in Rockland, Massachusetts by husband-and-wife team Lauren and Bob Monahan, UPPAbaby offers the side-by-side G-Link, in addition to two full-size stroller models, the Vista and Cruz. 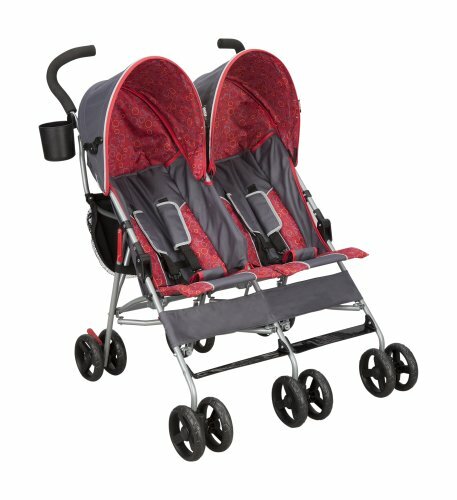 It also sells lightweight strollers the single Minu, G-Lite, and G-Luxe.